BigLaw: Should Large Law Firms Buy and Support iPads? - iPhone J.D. BigLaw: Should Large Law Firms Buy and Support iPads? Earlier this year, I started writing a monthly column for the TechnoLawyer BigLaw newsletter. My columns address topics related to the use of iPhones and iPads in midsize to large law firms. If you work for such a firm, this is a great (and free) newsletter and I encourage you to sign up for a free subscription. 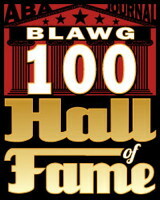 I've enjoyed writing my articles, and I've enjoyed reading a bunch of other great BigLaw articles. The first article I wrote for BigLaw discussed the usefulness of iPads for attorneys and whether this means that law firms should buy each of their attorneys an iPad, similar to what Minneapolis firm Bassford Remele did as I noted in this article from August of 2011. 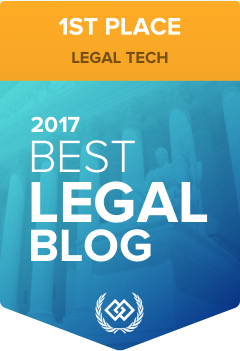 If you weren't a subscriber when my first BigLaw article was first published on January 17, 2012, you can now read it on the TechnoLawyer website. Although my law firm doesn't purchase iPads for attorneys, we now have around 100 iPad users and that number is steadily increasing every month. I suspect that most of you have seen more and more iPads at your law firms, too. Last year's ABA Technology Survey revealed that around 13% of lawyers used an iPad. We should see this year's numbers in about a month or so, and I have no doubt that we'll see a significant increase.